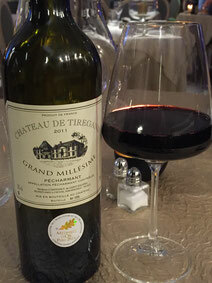 Grand Millésime 2011 Pécharmant Chateau de Tiregand, Bergerac. A typical Pécharmant shouldn't be drunk young – you should be patient and let it age. But for most of us we drink what is available and sometimes this means what we drink could be so much better! However, this wine is very exceptional. Drink it now and you’ll love it. But imagine what it could taste like in five years time? As much as Pécharmant is one of the region's appellation that defines high quality red wine, its specific 'terrior' gives characteristics to the wine which personally are not my favourite. However, I'm not giving up and I keep trying these wines following recommendations from locals and friends. And, I have to say that from my point of view, this specific wine stands out above the rest. Why? 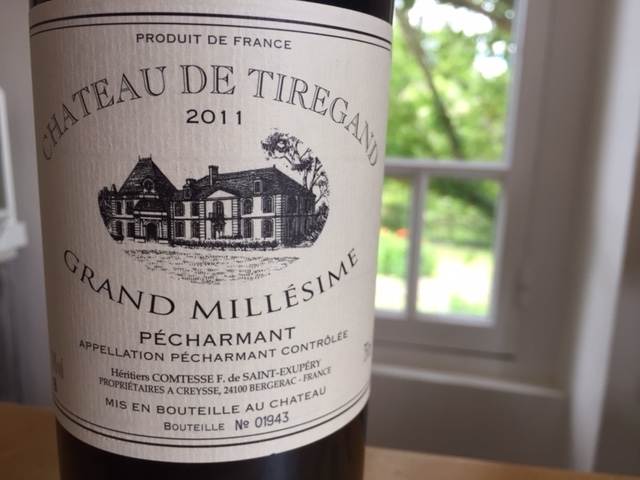 Its top of the range from Chateau de Tiregand, only made in the best years – hence Grand Millésime – rewarded with a gold medal and it has the bouquet, complexity and depth worth a grand cru from Bordeaux. I hadn’t visited this Chateau so having enjoyed this wine so much off we went. You can visit the Chateau for a wine tasting or join them on a guided one hour tour, held in both English and French. 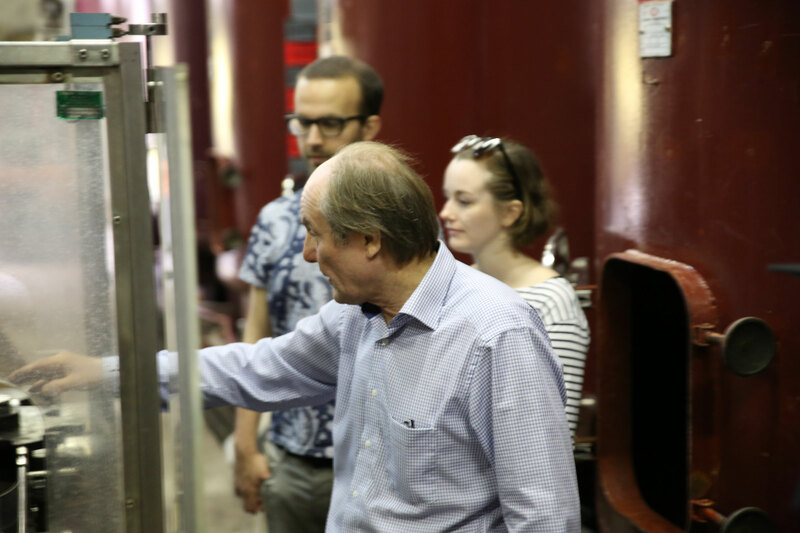 Monsieur Xavier de-Saint-Exupery, the owner of the Chateau has such passion, as you'd expect from a vineyard owner, but he's not a typical wine farmer, instead a soft, charming gentleman that is just so happy you enjoy his wine. Unfortunately, this specific Grand Millésime from 2011 has now ran out and the next year they produced this wine was 2014 - which we are anxiously waiting for it to age a little more before sitting back and enjoying with a wine smile.